One of my favorite brands Femme Fatale Cosmetics recently released the second installment of their "You Choose the Scare" collection inspired by Goosebumps. I saw some interesting brights in there so I decided to pick up their sampler pack. 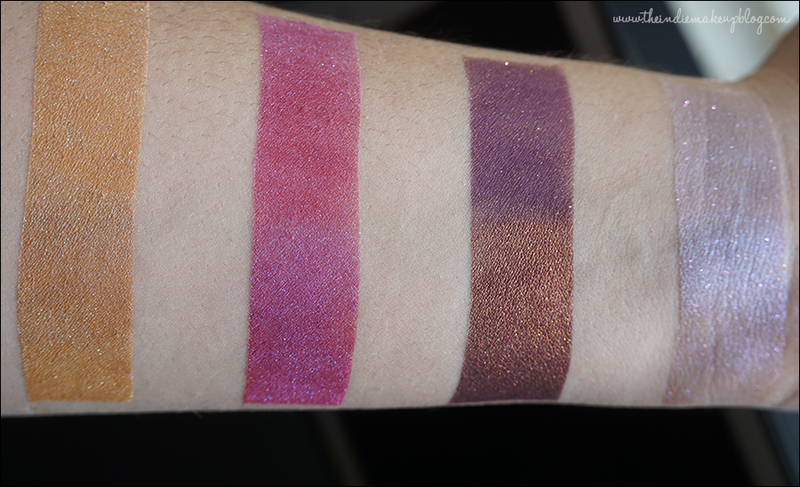 Femme Fatale only offers the sample set during the first weekend of the collection launch but the products are available here individually. 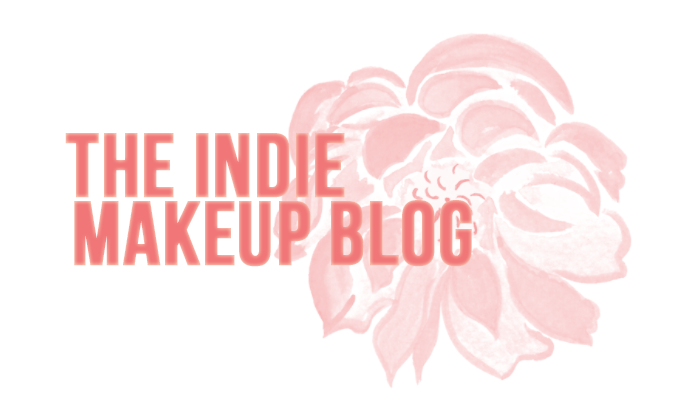 There are a total of 14 shades (11 eyeshadows, 2 blushes, 1 highlighter) in this collection. Since there are a lot of duochromes here, I did some video swatches as well. All thoughts and opinions are my own. Photos were taken in direct light. For reference, my skin tone is fair with warm undertones. Please view my disclosure policy for more information. 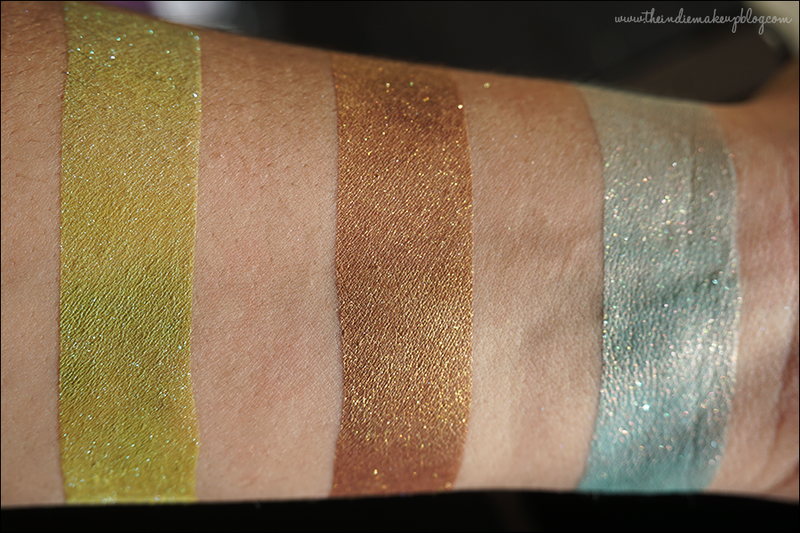 Swatches are done half on Urban Decay Primer Potion, half over Darling Girl Cosmetics Glitter Glue. Vampire Breath (vegan, lip safe) is a dusty light lavender with pink sparkle and a blue sheen. The Scarecrow (not vegan, not lip safe) is a medium-dark purple base with a golden copper shift. This one is very similar to FF Nightmare in Werewolf Woods and FF Xenomorph. 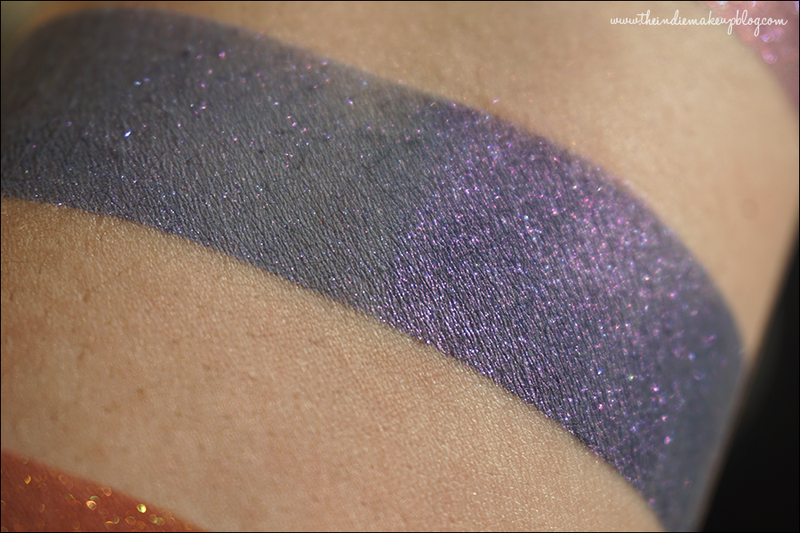 It really needs a sticky base to show the duochrome. 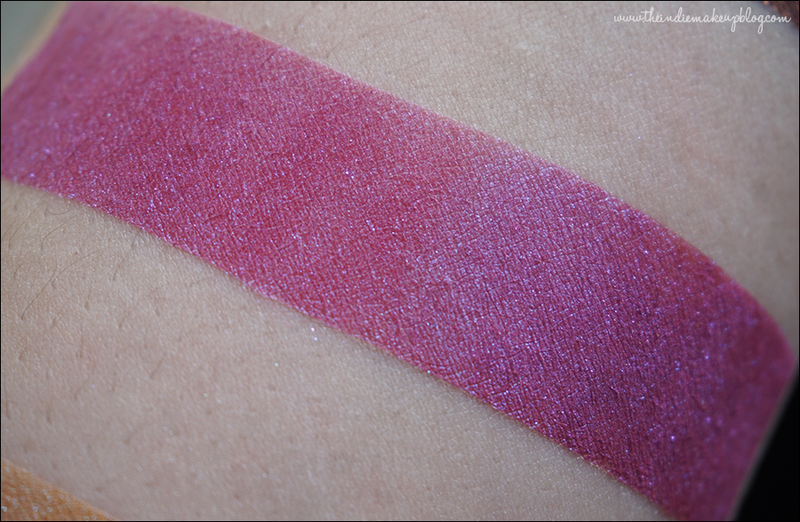 Dead House (not vegan, not lip safe) is a bright magenta with blue shimmer. Chicken Chicken (vegan, lip safe) is a goldenrod orange with very slight blue shimmer. I was hoping the blue sheen would be stronger on this one, because I don't have anything like this. 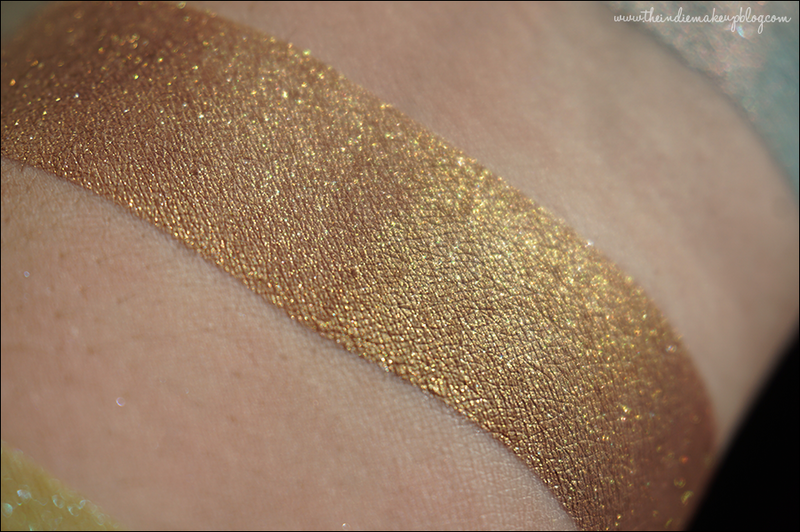 If you have any suggestions on a similar shade with a stronger shift, I'm all ears! From left to right: Chicken Chicken, Dead House, The Scarecrow, and Vampire Breath. Apologies for the shakiness in the videos, my camera is kind of heavy and the recording button is in a funny spot so I have to hold it in a weird position. 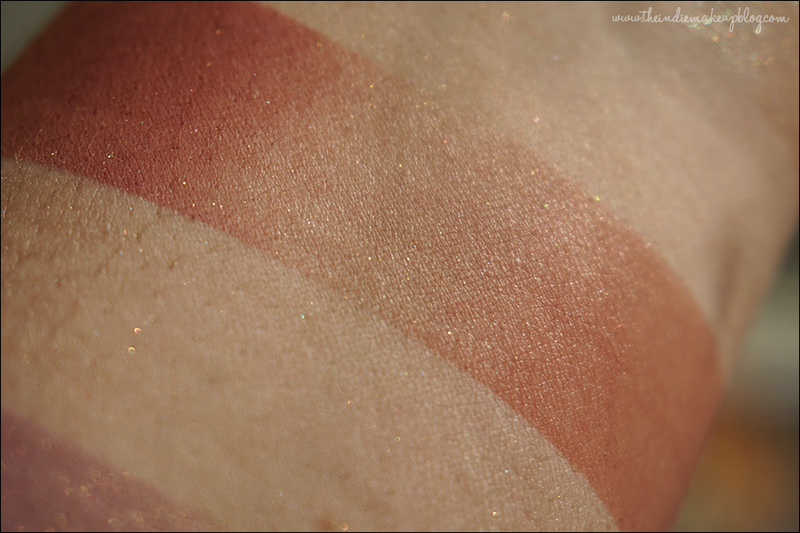 I think I'll be making this a regular thing with duochromatic eyeshadows, it's really the best way of showcasing the effects! 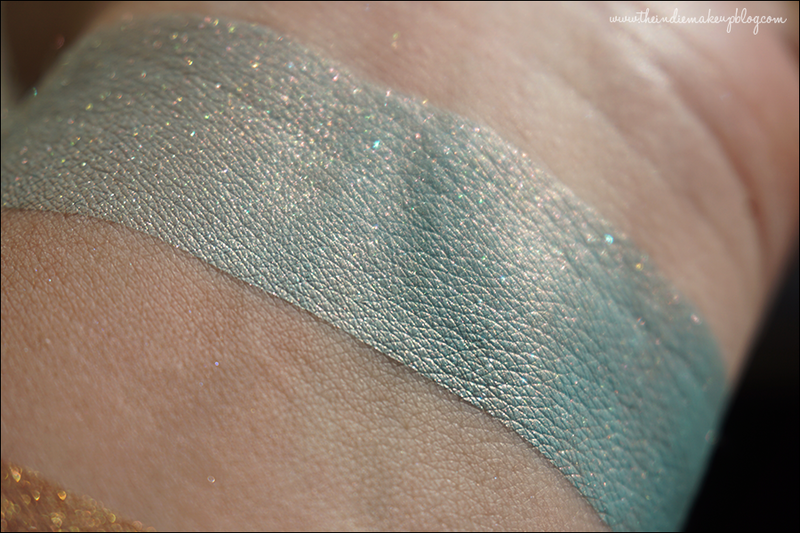 Ghost Beach (vegan, lip safe) is a light pastel blue with soft turquoise undertones and golden shimmer. 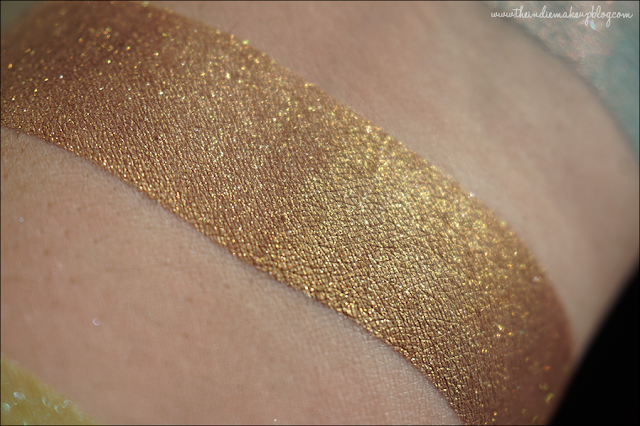 Wicked Wax Museum (vegan, not lip safe) is an olive taupe base with lots of gold shimmer. Camp Nightmare (vegan, lip safe) is a yellowy-lime green with blue sparkle. I love this one! It's very summery and is my surprise favorite. From left to right: Camp Nightmare, Wicked Wax Museum, and Ghost Beach. 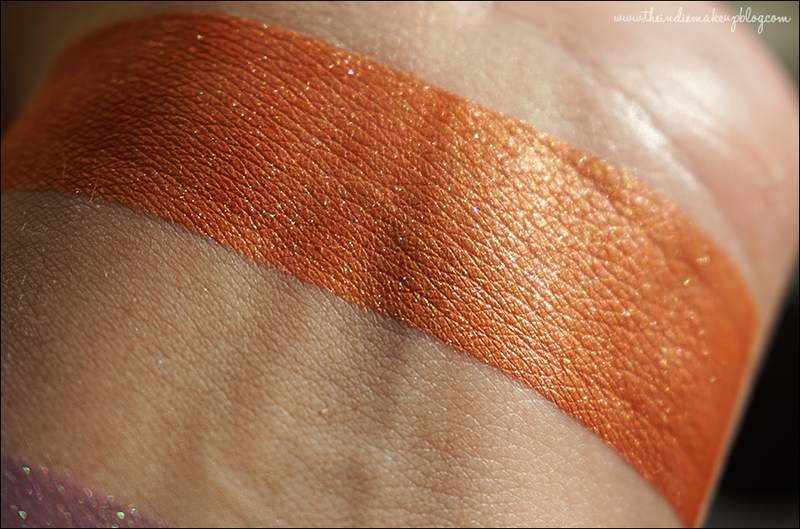 Afraid of Bees (vegan, lip safe) is a burnt orange with golden sheen. 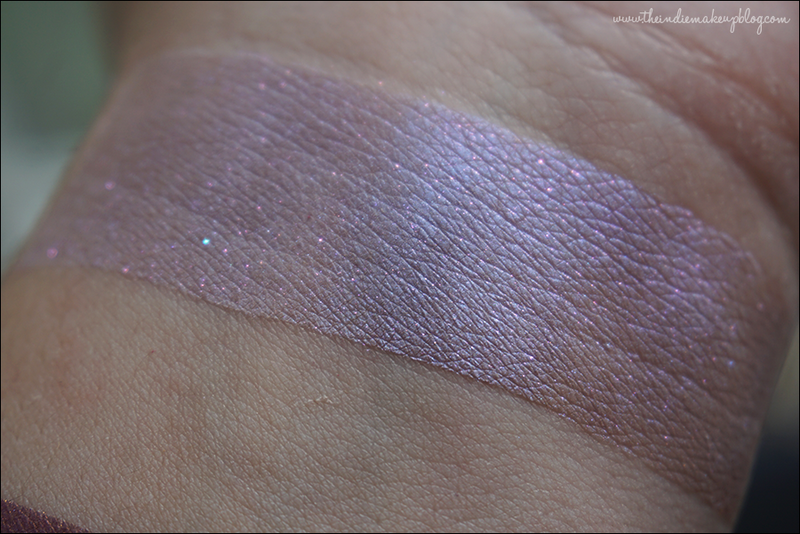 Fever Swamp (vegan, not lip safe) is a lilac with blue and silver shimmer. Curse of the Mummy (vegan, not lip safe) is a dusky blue with purple shimmer. 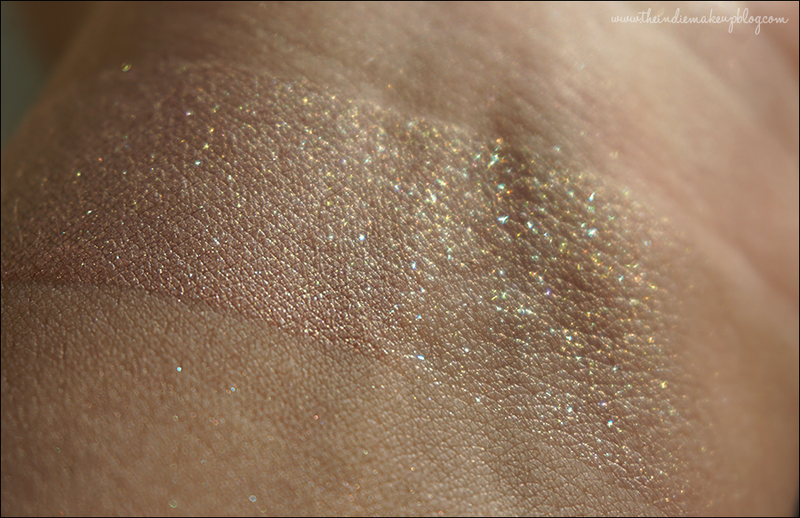 This color was patchy and sheer over primer alone so I recommend using a sticky base for this one. 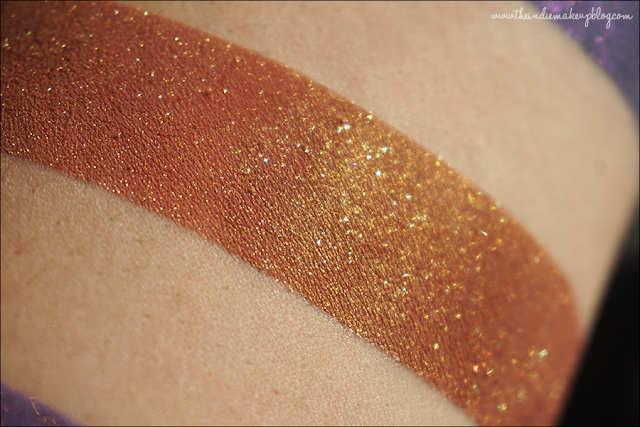 The Lost Legend (vegan, not lip safe) is a muted rust red base with golden-copper overlay. This color is gorgeous and very fall appropriate. Beast from the East (not vegan, not lip safe) is a matte purple base with red shimmer. I wasn't expecting to like this one as much as I do. 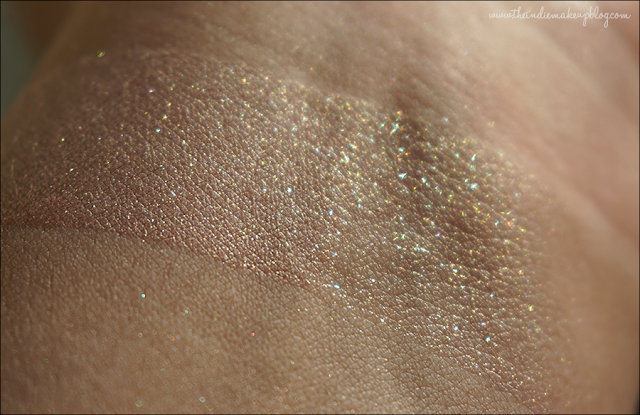 Toy Terror (vegan, lip-safe) is a champagne pink with golden shimmer. 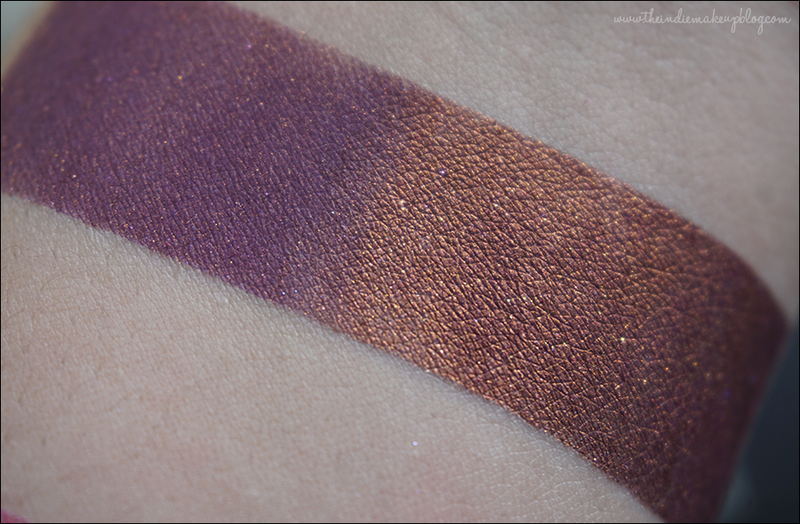 Creeping Coffin (vegan, not lip safe) is a medium purple with golden shimmer. Monster from Mars (vegan, not lip safe) is a warm rusty red. This pulls significantly redder on me than on the site, which describes it as a berry with cool undertones. From left to right: Creeping Coffin, Monster from Mars, and Toy Terror. I like that there is a nice mix of colors here. There's the usual purples that accompany Halloween collections but there's also a bright blue, a bright green, etc. You could create a neutral look, a vampy look, or a tropical look using this collection which I appreciate. Chicken Chicken and Curse of the Mummy were the weakest performers of the set, with Chicken Chicken's shift being so elusive and Curse of the Mummy being patchy over primer. 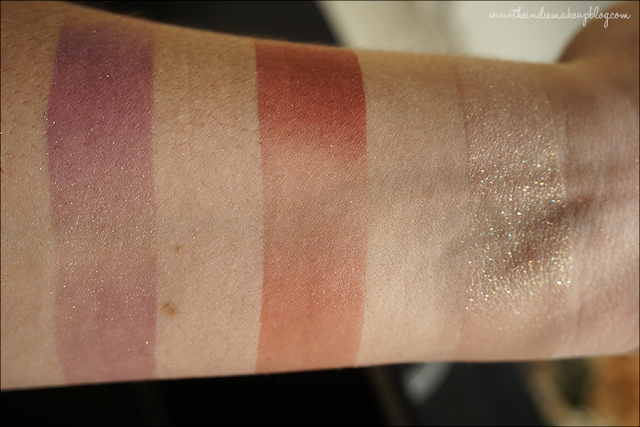 The blush colors correspond well with the eyeshadows so you could use one or the other to pair with your looks. I just purchased Monster from Mars blush off of my lovely IIoM friends but I also plan on picking up Camp Nightmare, The Lost Legend, and Beast from the East with my next order.